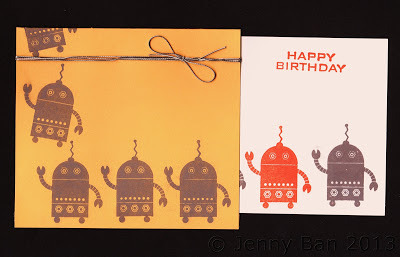 The Apricot cardstock is folded into a pocket and glued top and bottom.The Sugar card inside was cut to fit into the pocket, and one robot shows when the card is all the way in. 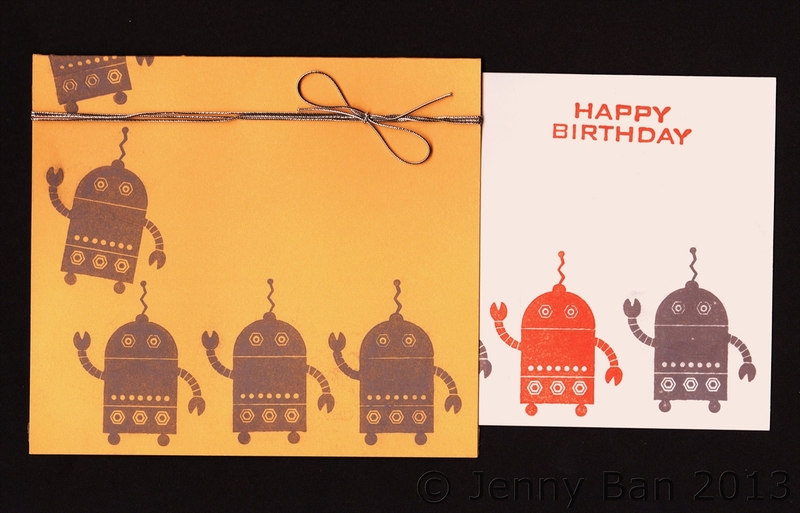 Then you pull the Sugar card out and see the orange robot and birthday message! The whole thing fits in a regular A2 envelope for easy mailing! Want to see another fun card featuring a spotlight stamp set? Check back tomorrow!